America's greatest president--and its first Republican one--was born in a log cabin 210 years ago in Kentucky. 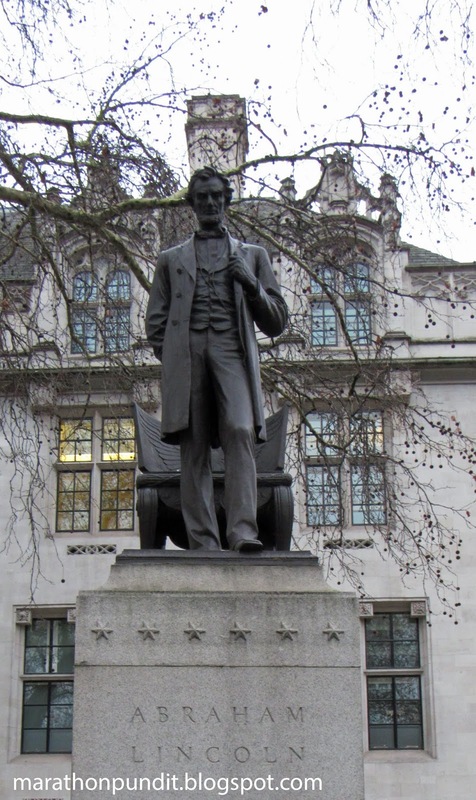 Pictured is a statue of the Great Emancipator that Little Marathon Pundit photographed last month at London's Parliament Square. It's a replica of the one sculpted by Augustus Saint-Gaudens that stands on the southern end of Lincoln Park in Chicago.